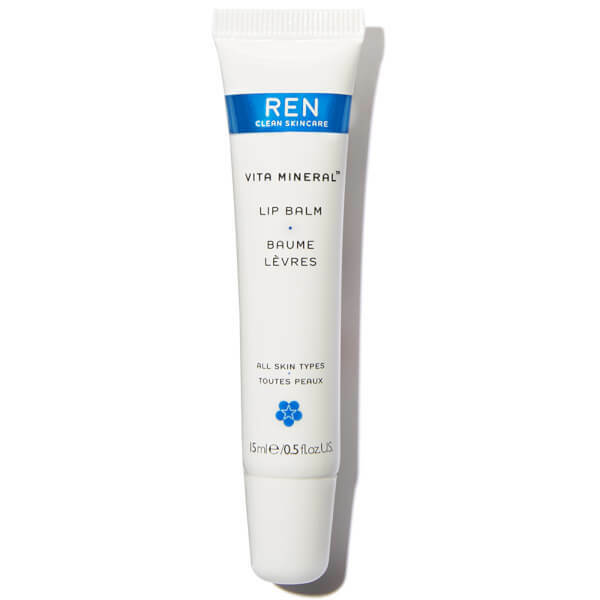 Suitable for all skin types, this Vita Mineral Lip Balm by REN is designed to keep the lips silky soft and hydrated throughout the day. Deeply replenishing, the innovative formula soothes and protects whilst combatting dry and chapped lips. K.D. Ricinus Communis (Castor) Seed Oil, Diisostearyl Polyglyceryl-3 Dimer Dilinoleate, Butyrospermum Parkii (Shea Butter), Euphorbia Cerifera (Candelilla) Wax, Cera Alba (Beeswax), Mel (Honey), Theobroma Cacao (Cocoa) Seed Butter, Helianthus Annuus (Sunflower) Seed Oil, Benzyl Alcohol, Oryzanol, Calendula Officinalis Flower Extract, Parfum (Fragrance), Tocopherol, Limonene, Linalool, Citral.